Preheat oven to 160°C. Place the coconut oil, vanilla and orange rind in a large bowl and stir to combine. Add the pepitas, almond, pecan, date, currants and chia seeds and stir to combine. Spread the mixture evenly over 2 large baking trays lined with non-stick baking paper. Cook, stirring halfway, for 25 minutes. Add the coconut, mix to combine and cook for a further 5 minutes or until crisp and golden. Set aside to cool. 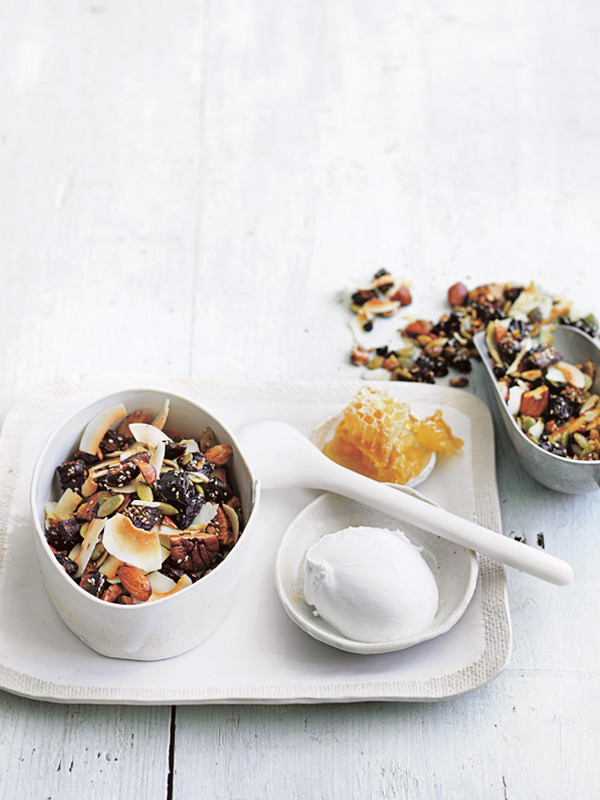 Divide between bowls and serve with coconut yoghurt and honeycomb. Makes 8 cups.